Skipper Simeon Tienpont’s team made the most of slightly better wind and angle as they sailed round the outside of previous frontrunners Turn the Tide on Plastic along with Team Sun Hung Kai/Scallwag. A little bit of luck then came AkzoNobel’s way when a tropical cloud appeared in between them and closest chasers Scallywag, scuppering their rival team’s speed while they slipped away at pace. 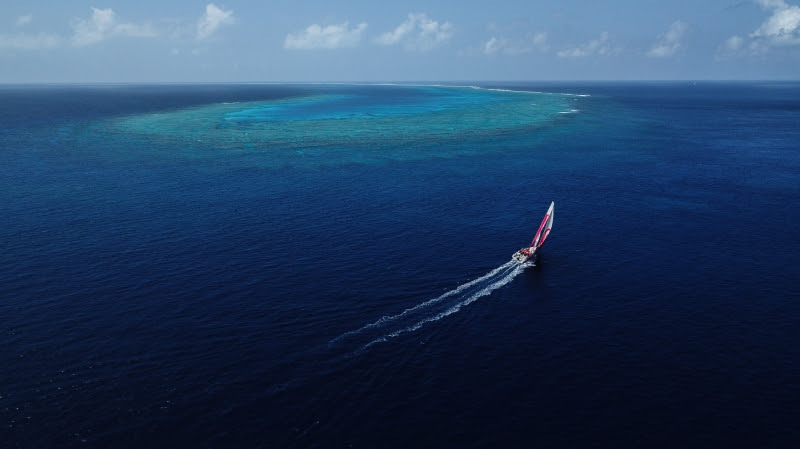 The three teams had been neck and neck approaching the northern tip of New Caledonia, with AkzoNobel and Scallywag lined up to the west of Turn the Tide on Plastic. Dee Caffari’s Turn the Tide team gambled on sailing between New Caledonia’s barrier reef in a bid to gain precious miles but as Leg 6 entered its 17th day it was clear the punt had not paid. At 1300 UTC AkzoNobel had accelerated to 25 miles in front of Scallywag, while Turn the Tide on Plastic were 65 miles north-east, but another 1,000 miles of race course still lie between them and the Auckland finish line. Leg 4 winners Scallywag have been working overtime to regain ground on AkzoNobel since losing the Leg 6 lead a few days ago. Just when they thought they had reeled their rivals in disaster struck in the form of a cloud that reduced their speed to less than a knot. AkzoNobel, still travelling at 13 knots, made their escape once more. Team Brunel were in fourth place on the Leg 6 leaderboard before opting to go into stealth mode, whereby their position is hidden from the race tracker for 24 hours. Stealth mode is most commonly deployed when the teams want to attempt a big tactical manoeuvre – but the teams and fans alike will have to wait until they reappear with on Saturday’s 0100 UTC position report to find out if it has paid off. After passing the top of New Caledonia and breaking free from the Doldrums, back markers MAPFRE and Dongfeng have adopted a slightly higher angle as they try to maximise boat speed and claw back miles on the front four.